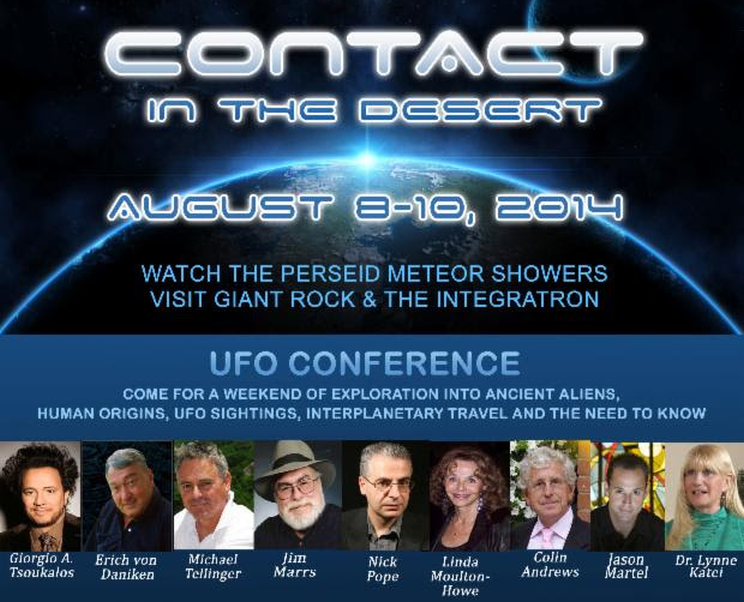 CONTACT In the DESERT has become the must-attend event for the worldwide UFO community, with said community converging on the Joshua Tree Retreat Center from August 8-11, 2014. This, the second annual CITD, will explore UFO technology, ancient aliens, human origins, and the need to know with dozens of leading scientific and military experts, researchers and theorists. CONTACT In the DESERT is also exquisitely timed to coincide with the Perseids Meteor Shower, which will appear to “rain” into the majestic desert sky from the constellation Perseus rising in the northeast at around 11pm every night of the show, offering a fantastic viewing experience. Award winning investigative journalist and best-selling author JIM MARRS will speak on topics addressed in his latest book, OUR OCCULTED HISTORY. Do the global elite conceal ancient aliens? Addressing the omissions and distortions in history – from the strange Starchild skull to the exact location of Atlantis, to the genesis of RH-negative blood types and the powerful families of the black nobility – no stone is left unturned. Dr. Lynne Kitei is an internationally acclaimed physician, health educator and broadcaster who pushed aside her successful medical career to pursue THE PHOENIX LIGHTS book and award-winning documentary project. The 1997 mass UFO sightings known worldwide as the “Phoenix Lights” has been hailed as the most witnessed, documented, and important anomalous aerial event in modern history featuring a parade of silent mile-wide V formations of orbs and nine different craft, witnessed by over 10,000 people for over a dozen hours. 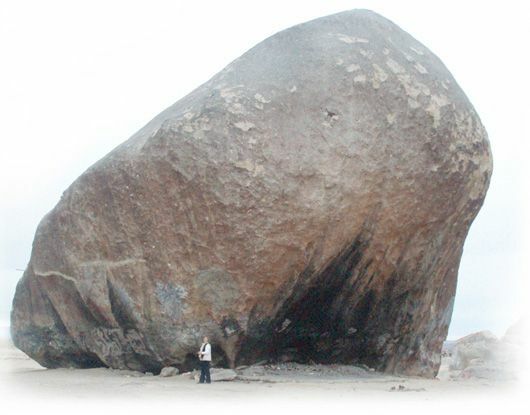 Barbara Harris, historian and tour guide of the Joshua Tree National Park area, will present the legend of Giant Rock. Once considered scared by Native Americans, the granite rock stands 7 stories high, weighs 25,000 tons and covers an area approx. 5,800 sq. ft. Made famous in the 1950’s by George Van Tassel and his “Spacecraft” conventions, Van Tassel claimed to have had contact at Giant Rock with beings from Venus who gave him instructions on how to build the Integratron, a machine that had time travel capabilities and could rejuvenate the human body. Barbara will present photos, documents, historic folklore and stories of amazing present day sightings this vortex still offers. 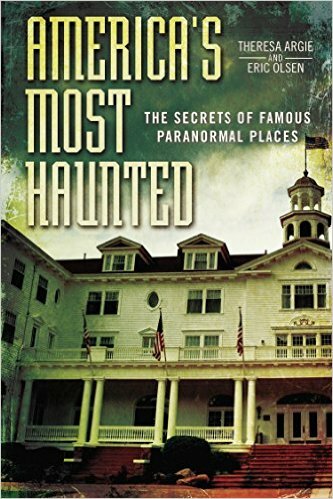 Join us tonight at 10pE as we preview this fascinating, thought-provoking conference on America’s Most Haunted Radio!